stewardship and use of forests and forest lands in a way, and at a rate, that maintains their biodiversity, productivity, regeneration capacity, vitality and their potential to fulfil, now and in the future, relevant ecological, economic and social functions, at local, national, and global levels, and that does not cause damage to other ecosystems. Those terms are back in the first article of the actual forestry code. In order to evaluate the sustainability of the management of the French forests, sustainable forest management requirements are used. 6. Upholding of other advantages and socio-economic conditions. Each requirement is declined into several indicators for the sustainable management of the French forests. 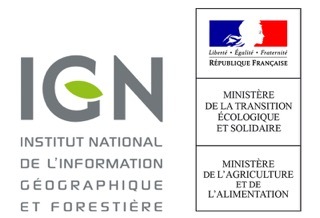 The National Forest Inventory is highly involved on the subject of indicators for the sustainable management of French forests, at a national, European and global scale. Apart from its participation with the definition of European indicators, it plays the part of French coordinator and correspondent among national and international authorities. The report is produced every 5 years since 1995.